Another high roller is in the books as the 2018 Caribbean Poker Party is coming to a close. 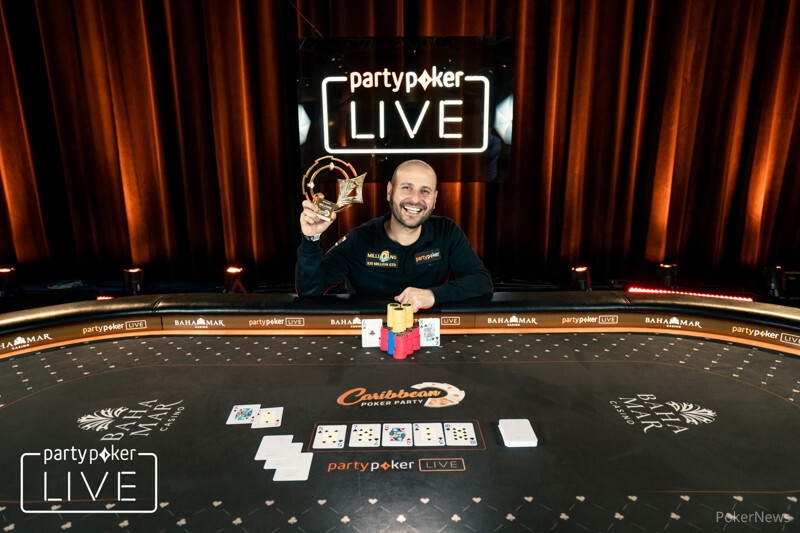 The $10,000 High Roller has just wrapped up and partypoker pro Roberto Romanello has claimed the victory along with the first-place prize of $450,000. 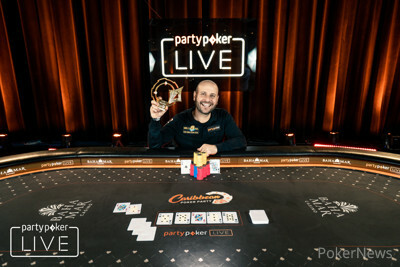 The poker pro from Wales has accumulated nearly $3.5 million in his career but he was really looking forward to getting his hands on the partypoker trophy. This will go down as one of his largest cashes and it seems fitting that it came in a partypoker event. That set up the heads-up match between Romanello and Kanit and the two had a blast dueling each other for over an hour. Romanello held the early chip lead and he would never look back, picking off a couple bluffs from Kanit. In the last hand of the night, Romanello picked up ace-king on the button against the king-deuce of Kanit. The board ran out clean for Romanello and the tournament finally ended in the wee hours of the morning. That nearly wraps up the entire coverage from PokerNews at the 2018 Caribbean Poker Party with just one event still going on. Roberto Romanello shipped all in on the button and Mustapha Kanit called off his last 38 million chips. Romanello turned over and was dominating Kanit's . The flop of was no help for Kanit as he was still searching for a deuce. The turn brought the and the river was the as Romanello finally brought an end to the last high roller event. Mustapha Kanit limped in on the button and Roberto Romanello checked his option in the big blind. The flop came and both players checked to the on the turn. Romanello check-called a bet of 3.5 million and the landed on the river. Romanello checked again and Kanit bet 8.5 million. Romanello called saying he had a bluff catcher, which was exactly what Kanit had. Kanit showed while Romanello tabled to scoop the pot. Roberto Romanello folded his button and Daniel Dvoress shipped all in for around 24 million in the small blind. Mustapha Kanit made a quick call from the big blind and the players were off to the races. Dvoress turned over and Kanit held . The flop came and Kanit remained in the lead with his pocket pair. The turn was the and Dvoress was left drawing to six outs. 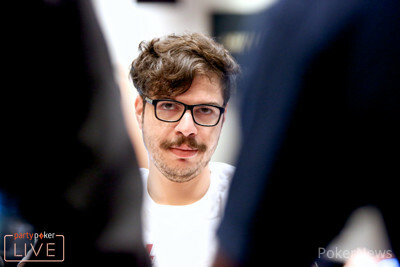 The river was the and Dvoress was eliminated in third place. In a limped pot preflop, the flop read and Roberto Romanello led out for 2.5 million from the small blind. 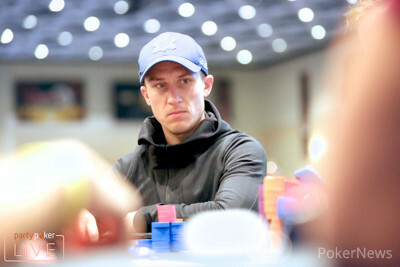 Daniel Dvoress raised to 7.6 million in the big blind and Romanello shoved all in for 58.5 million. Dvoress quickly called and the cards were on their backs. Romanello turned over for a flush draw while Dvoress held for two pair. The turn was the and Dvoress just needed to fade a spade. The river brought the and Romanello spiked his flush to score a massive double up. With that, Dvoress fell to the shortest stack at the table with around 15 big blinds.